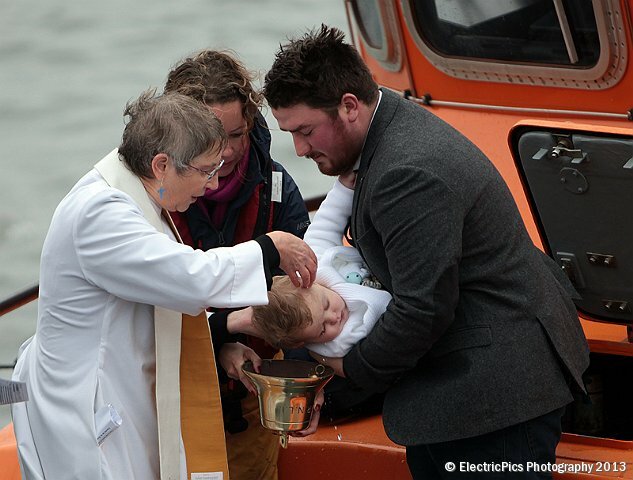 WHEN Tynemouth RNLI station Mechanic Kevin Mole's new baby Grandson arrived on the scene, there was only one place he was going to be christened – aboard the station’s lifeboat Spirit of Northumberland. 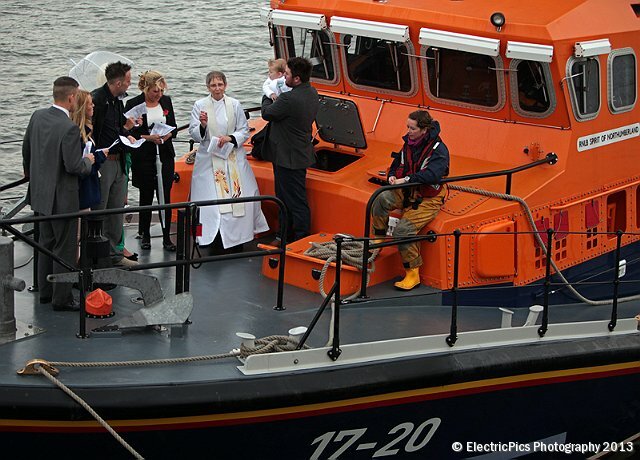 Heavy showers held off long enough to allow a moving ceremony where local vicar Reverend Dorothy Robinson christened Roman Alexander in front of parents Laura and Paul Bundy, their family and friends, and Tynemouth RNLI crew members. 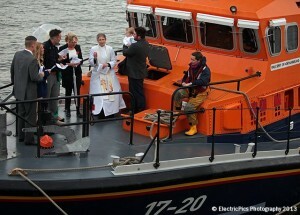 The tradition of christening “lifeboat children” aboard RNLI lifeboats goes back over two hundred years and is said to bring luck to the child. 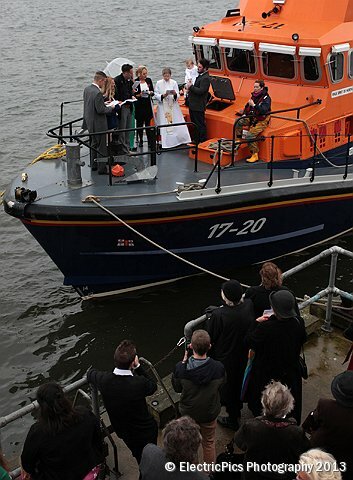 The christening font normally found in a church ceremony is replaced by the upturned ship’s bell from the lifeboat. Baby Roman Alexander is the fourth generation of the family to join the lifeboat 'family', with Kevin Mole's himself having served for 40 years, his late father Dougie served for over 30 years, and Kevin's son Bobby, Roman Alexander's Uncle, is currently serving as a volunteer crewman at Tynemouth. Kevin said he hoped that Roman would one day follow the family tradition and become a lifeboatman himself. Posted in Editorial, RNLI lifeboats.